The Fargo-Moorhead area is full of things to do in the summer, including some unfamiliar to many. Read on to find some new activities to add to your summer bucket list! You don’t have to play soccer or golf to enjoy this sport! FootGolf is a mixture of soccer and golf, with larger holes used for soccer balls on the golf course. The scoring is just like golf with the goal to get the soccer ball in the hole with the fewest amount of kicks. While it may help to be able to send a soccer ball flying, I can say I managed to have a good time with only third-grade soccer practices to prepare me. 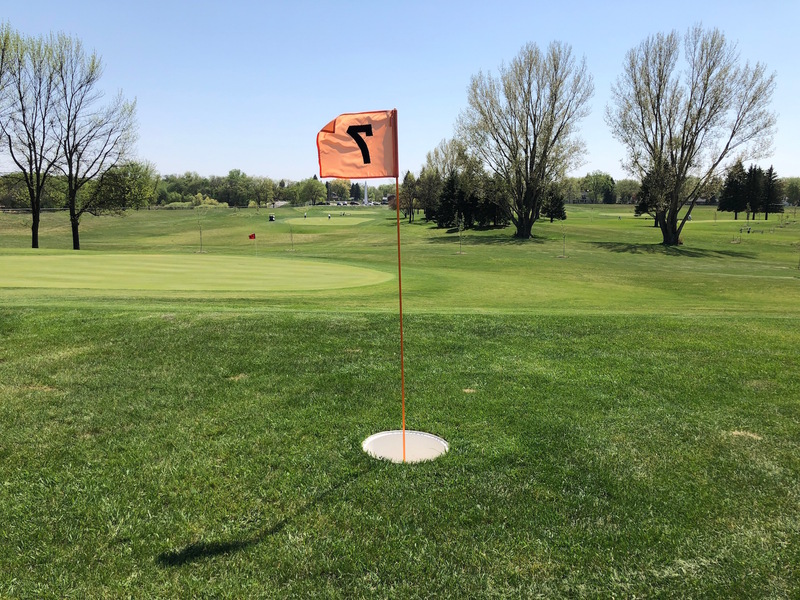 For $7.25, or $5 if you’re 18 or younger, you get a ball and the chance to play nine holes of FootGolf at El Zagal Public Golf Course in north Fargo. Open seven days a week, El Zagal provides a great opportunity to enjoy a warm summer day while trying something new with friends. 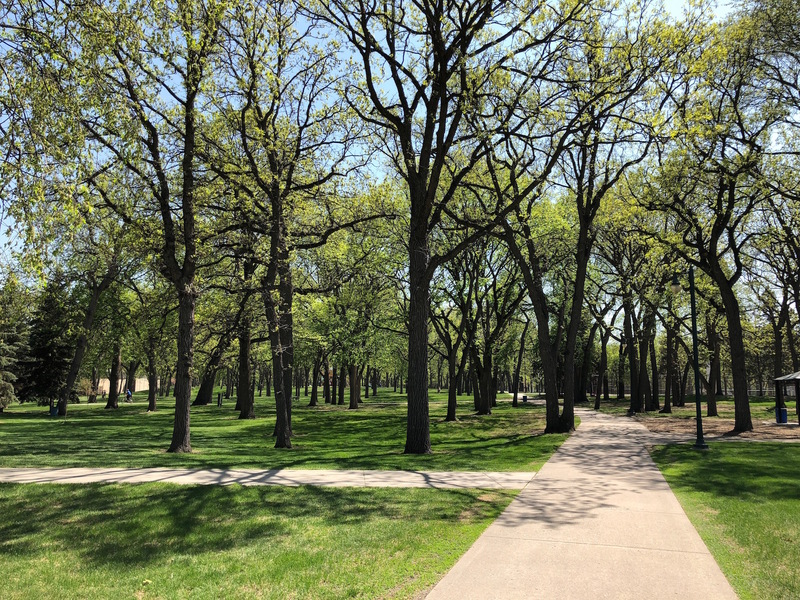 Offering respite from the bustle of the city since 1899, Island Park may be the oldest, most recognizable park in the F-M area, but it offers so much more than what meets the eye. Island Park spans blocks across the downtown area, offering a pool, tennis courts and a playground. In the heart of Island Park lies a beautiful gazebo, where you may catch yourself crashing a wedding on a Saturday afternoon. Beginning in July, The Stage at Island Park starts its performance season. Performances include “Aladdin Kids” in June, “Xanadu” in July and “Xanadu Jr.” in August. With activities to do during the day and performances to see at night, Island Park is a great place to enjoy a summer day. Grab your fancy, floppy hat or your polka dot bow tie. The Little Track on the Prairie is the perfect place to spend a sunny afternoon cheering on Secretariat’s relative. Three weekends in a row, bask in the sunshine of a July afternoon, enjoy some ice-cold lemonade, and watch the majesty of horse racing! You don’t have to bet any money to enjoy the fun atmosphere of the horse park. The horse park is open this July 14-15, 21-22, and 27-28. Put on your walking shoes or grab a bike. Exploring downtown Fargo through a murals tour is a great way to get out and about this summer. 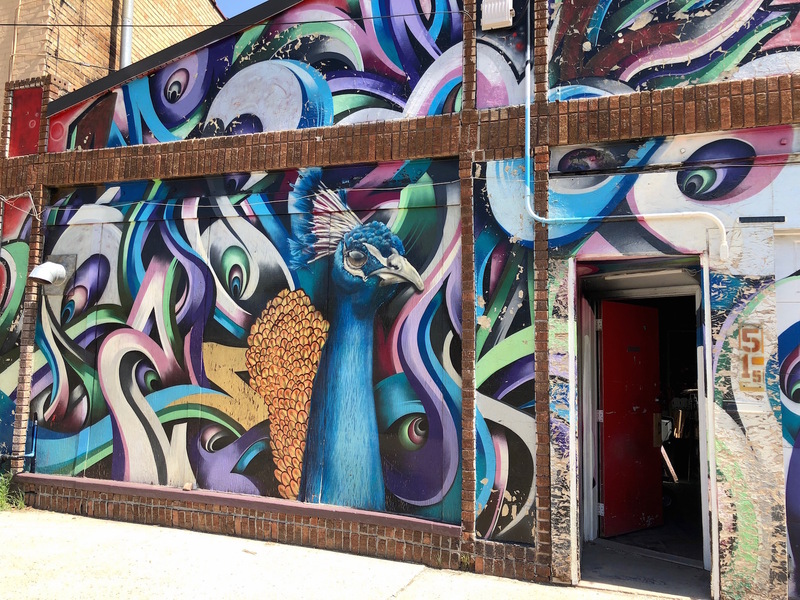 Murals can be found all around downtown behind Broadway businesses, along the side of historical buildings and on apartment complexes. A walking tour is ideal for seeing them all while enjoying the unique beauty of downtown Fargo. Spanning just over a mile, these murals can be enjoyed while getting active on a nice summer day. From North Dakota wheat plains to an exotic peacock, these murals are sure to feed the artistic hunger in all of us. Folkways even provides walking tours through the downtown district, allowing anyone to get to know the area based on their personal preferences. Unknown to many, Fargo is home to the Northern Plains Botanic Garden Society, located near Yunker Farm in north Fargo. This summer is a great opportunity to check out the Butterfly Garden, Hummingbird Patio and much more! The Botanical Gardens are a great way to enjoy the splendor of natural beauty right in our own backyard. The gardens are free to the public each day from sunrise to sunset. And with big plans for the future, the Botanical Gardens will continue to expand its beauty and gardens in the Fargo-Moorhead area.